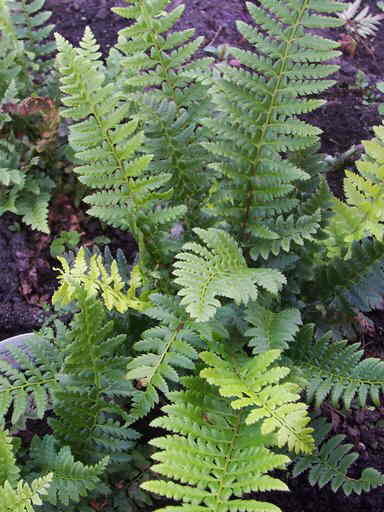 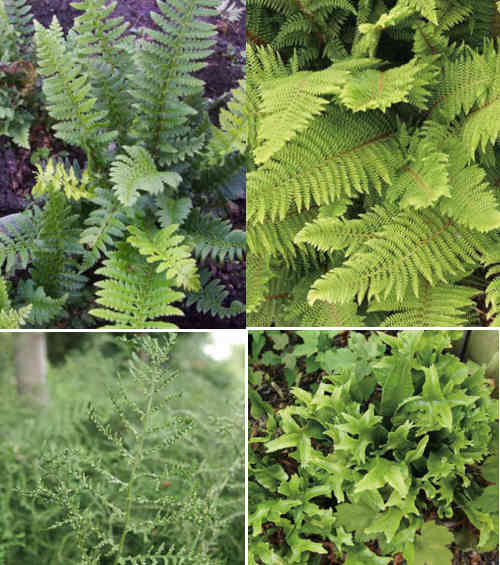 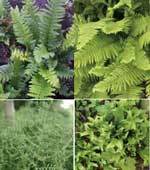 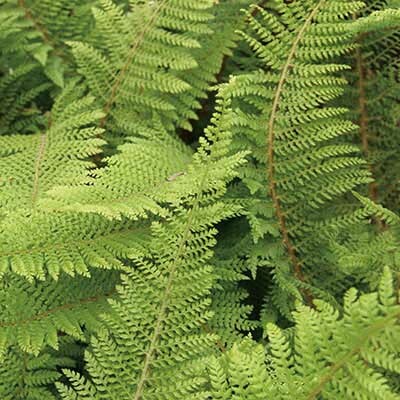 Polystichum setiferum (Soft Shield Fern ) 45cm evergreen. 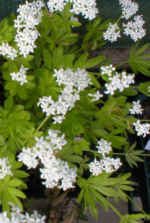 Polypodium vulgare (Common Polypody) 30cm, evergreen. 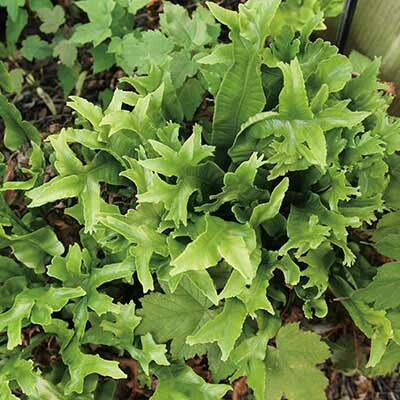 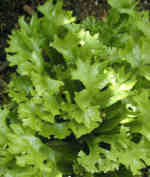 Asplenium scolopendrium ( Harts Tongue) 45cm, evergreen. 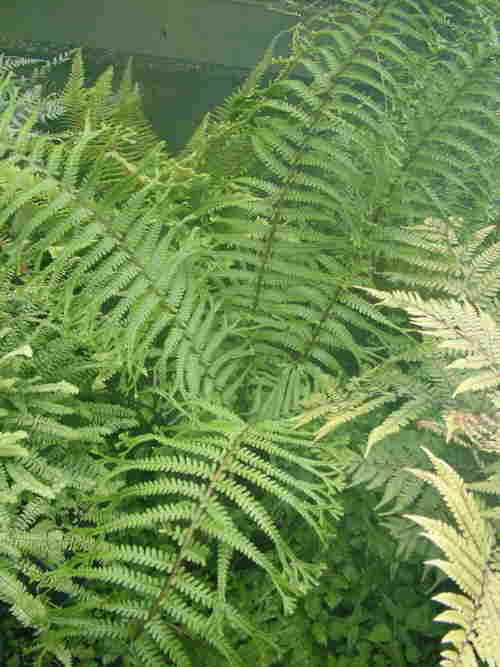 Dryopteris filix-mas 'Linearis Polydactyla' (Male Fern) 60cm, deciduous.